Rugby HQ: Wallabies assistant coach Stephen Larkham says the Aussies’ uncharacteristic moments against Scotland were all part of the grand plan. The naming of Wallabies pair David Pocock and Israel Folau is good news for coach Michael Cheika. THE Wallabies have received a massive boost ahead of their World Cup semi-final with star duo David Pocock and Israel Folau named to start after the pair trained properly on Friday for the first time this week. Powerhouse prop Scott Sio was ruled out for the clash with Argentina at Twickenham on Monday morning, and will be replaced by James Slipper, but the news was otherwise rosy for Australia who’d feared the worst about their injured no.8 and no.15. Pocock (strained calf) and Folau (ankle) both missed last weekend’s quarter-final and have barely trained this week but the pair finally made it on the paddock for a full session at the team hotel. They were later named in the run-on side and the only doubt about them playing now will come if either pulls up lame and can’t get through the captain’s run on Sunday morning. Rugby HQ: Wallabies scrumhalf Will Genia discusses their narrow win over Scotland, and what they can improve on for their meeting against Argentina. Kurtley Beale and Ben McCalman will drop back to the bench. 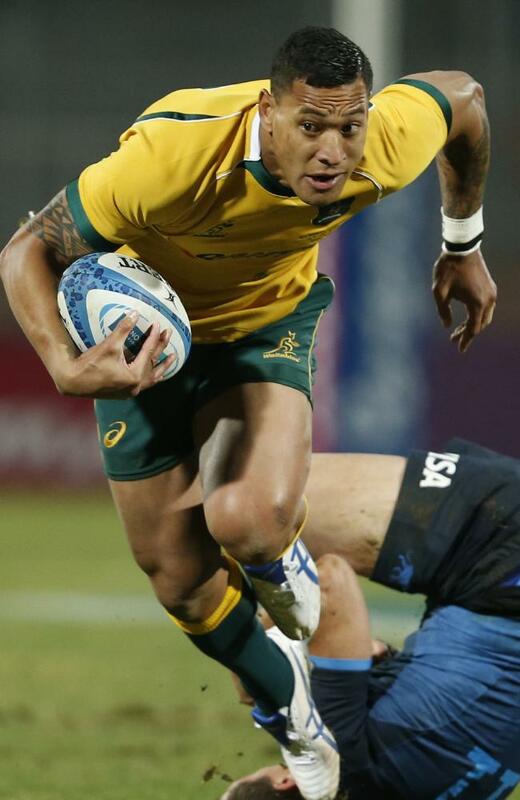 Though both were strong against Scotland, it is a huge boost for the Wallabies to have Folau back on deck for high-ball security, and Pocock for his incredible on-ball presence. The Wallabies ability to halt a rival’s momentum with forced turnovers drops considerably without Pocock on the paddock. Prior to the training session, Wallabies coach Michael Cheika said he would not be resting either star. “There’s no point in talking about something that may happen or may not happen. I know what I believe inside. It’s a World Cup semi-final so it’s not like we’re keeping anyone for next week,” Cheika said. “I just prefer before I start talking about things I prefer to let them run out and then tomorrow we’ll be able to talk about it with some certainty. One player who is definitely gone, however, is Sio. The 24-year-old loose head prop injured his elbow against the Scots and though medical staff tried to strap up Sio’s elbow and put him through some running drills, the discomfort was too much. Veteran prop James Slipper has been called up to the no.1 jersey for his 73rd Test; a mark that will see him pass Benn Robinson and Ben Alexander as Australia’s most capped prop forward. Toby Smith joins the bench. Australia have only lost one of their last ten matches to Argentina and beat them 34-9 in July; albeit with two late tries that blew out the margin of an otherwise tight affair. Five of the past seven matches between these sides have been decided by seven points or less, and Argentina are in their best form of the last decade. Punters are apparently jumping all over the Pumas but the Wallabies, it must be said, are on a six-match winning streak – something they haven’t achieved in a single season since 2003, the last time they made a World Cup final. 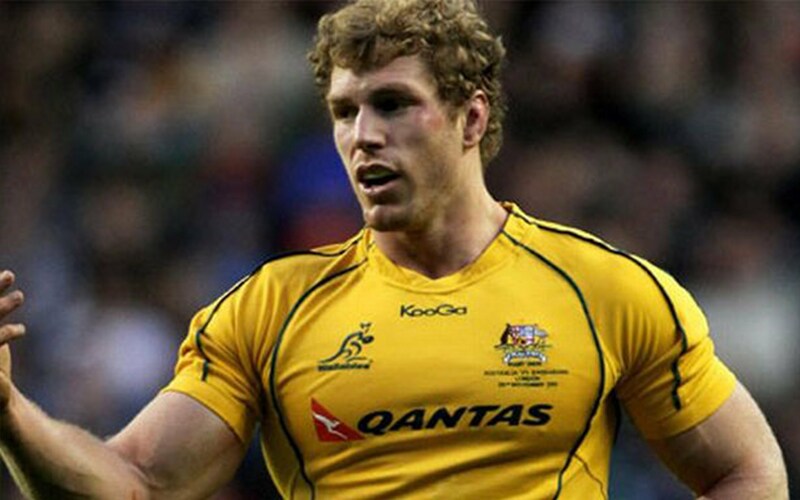 The rest of the Wallabies side would remain unchanged. ​With daylight saving time changing in England this weekend, the 4pm game is on at 3am ​ Australian time (AEDT).